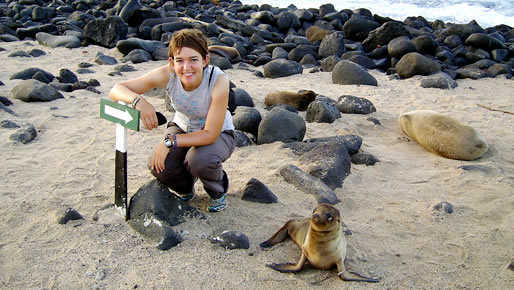 Companies and Tour Operators: Amazing Peru: The finest and most original tours throughout Peru and Latin America. Highly recommende by worldwide renowned travel magazines and travel guides. Arrival to Quito. Reception and transfer to your hotel. 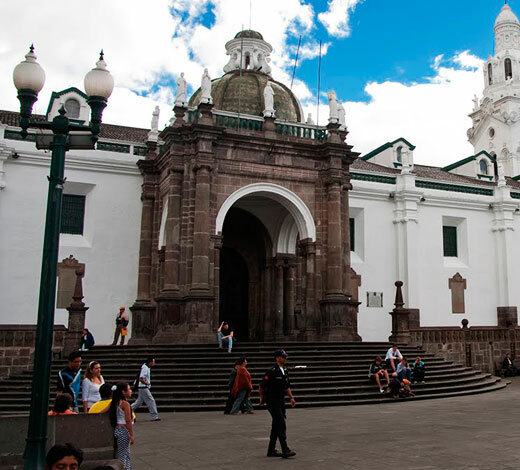 After breakfast, a full day's guided visit of colonial Quito, declared by UNESCO as a world heritage site in 1978. A visit to the Old Town, including the Plaza de la Independencia. The President still conducts business here, so access to the inside may be limited. It is the home of the tomb of Sucre and also houses interesting 17th and 18th century paintings. A visit to the Parque Alameda that houses the oldest astronomical observatory in South America, as well as an impressive monument of Simon Bolivar. The Plaza de San Francisco was constructed by the Spanish in 1553, and the church has a high altar made of gold and beautifully carved ceilings. You shall also visit La Compañia, the finest of all Jesuit churches. Damaged through the years by fires and earthquakes, it has since been restored and has a richly sculptured facade and interior. If time, we will visit the some of the markets, including the Indian market at Avenida de 24 de Mayo at the base of El Panecillo and the Ipiales market. These are best visited on Wednesdays and Saturdays, the main market days. Lunch at Cochabamba Restaurant; affording excellent views of Quito from its incredible location above Quito. Continue the tour to the middle of the world monument before returning to your hotel. After breakfast, a visit to the colourful Indian market of Otavalo, some two hours drive from Quito. With its many impressive arts and crafts of the local people, the market (best on a Saturday) dates back to pre-Inca times when jungle products from the east were traded with highland products. Traditional dress is observed throughout the market. Trip to Pinsaqui, one of the oldest Haciendas in Ecuador and dating back to 1790. Enjoy a superb lunch before visiting the Lago de San Pablo or the Lagunas de Mojanda, Cuicocha, or Yahuarcocha. Return to Quito for accommodation. After breakfast, we start our journey south through the spectacular avenue of the volcanoes towards Cotopaxi, the most famous of all Ecuatorian volcanoes. We shall pass Pasochoa, Ruminahui and Corazon volcanoes along this spectacular journey. Arrival to the magnificent Hacienda Cienega, one time residence of the German scientist Von Humboldt. After lunch at the hacienda, we shall visit the Hacienda San Agustin de Callo at the very foot of Cotopaxi. This Hacienda has been written about by the Spanish chronicler, Cieza de Leon (1553) and is one of only two major Inca sites in Ecuador. The temple was built around 1440 AD by one of the last Inca emperors, Huayna Cápac, and to this day the remaining rooms prevail as a magnificent sample of the unique style of Inca construction. The site is currently being investigated by Dr. David Brown of the University of Texas, the funding of which was provided by the National Geographic Society. Previously unknown portions of Inca walls and foundations have been discovered throughout the restoration process of the house. 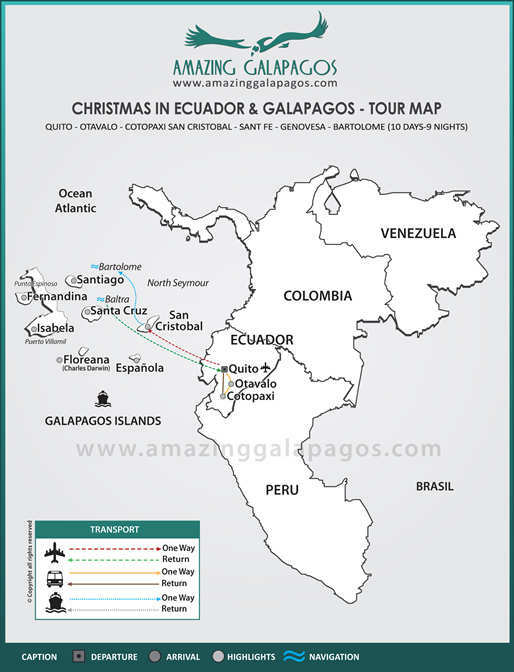 Since the 15th century San Agustin de Callo has served as an Inca fortress, Augustinian convent and temporary home for the French Geodesic Mission whose scientific results helped to determine the true shape of the planet. 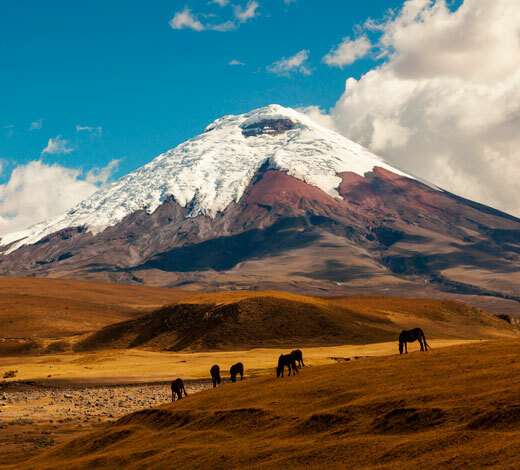 Continue the tour into the Cotopaxi National Park for a closer view of the volcano. Before returning to Quito, time permitting, we shall visit one of the Indian Markets, either Pujilí or Saquisilí. These are amongst the most authentic markets in Ecuador with their colourful displays of spices, fruits and hand woven ponchos. Return to Quito. 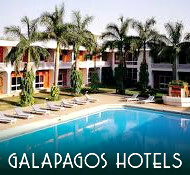 After breakfast, transfer to the airport for the flight to San Cristobal Welcome by the crew of the Gallaxy yacht. We shall also arrive at San Cristobal to visit the nterpretation Centre at Puerto Baquerizo Moreno. After, we shall then visit the highlands of San Cristobal before going onto Isla Lobos, where a large population of sea lions make their home. This island is also a great place for snorkeling opportunities as well as to view blue-footed boobies. Santa Fe has one of the most beautiful coves of all the visitor sites in the archipelago. A turquoise lagoon with two small white sandy beaches are protected by a peninsula where sea lions rest. A trail runs along the side of the coast and then crosses through an Opuntia Forest. These prickly pear cacti are the largest found anywhere in the Galapagos. The Santa Fe species of land iguanas are also larger and of a paler yellow than on the other islands. After the hike you can swim or snorkel in the bay in the company of sea lions. At the afternoon, visit to Turtle Cove where you will find Mangroves, Golden Rays and White tipped Sharks. Morning wet landing for an easy stroll observing thousands of bird life, mainly frigate birds, red footed and masked boobies, gulls, herons, finches and mockingbirds. 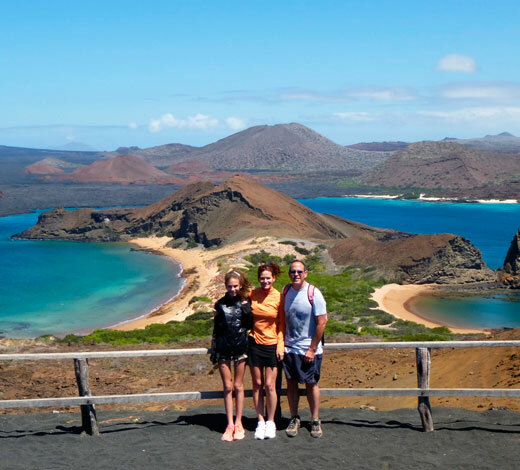 If you wish you can continue walking over sharp lava and uneven terrain, or just go back to the beach to enjoy swimming and snorkeling at this beautiful natural harbour. Those most adventurous can look for Hammerhead sharks, snorkeling along the cliffs. The afternoon starts with a very interesting panga ride along the cliffs and then disembark (dry landing) on rocks for a steep climb (90 feet) and then a leveled walk for about a mile to the other side of this small island observing large colonies of masked boobies, frigate birds, storm petrels and the short-eared owl. 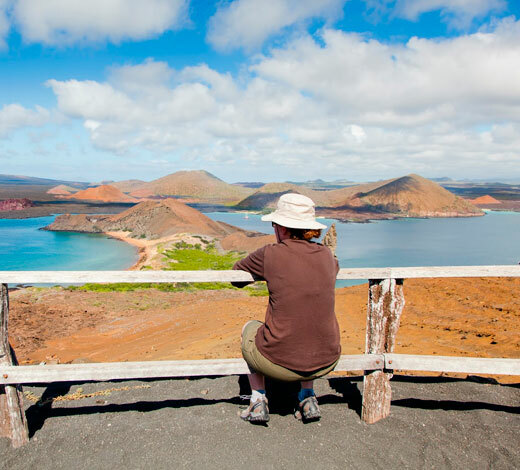 Disembark at Bartolome Island (dry landing) for a hike to the summit. This is a steep climb aided by a wooden staircase; the view from the top is worth the effort. There will be time for a panga ride around Pinnacle Rock to observe penguins, to enjoy the beach (wet landing), snorkeling and swimming from the beach, or a ride on the glass-bottom boat. Farewell cocktail and briefing. After breakfast, disembark and transfer to Baltra's airport for the return flight back to the mainland. Rest of day at leisure. Av. Republica el Salvador 326 y Moscu, Edificio Piazarra, Quito.